Decorative vector round elegant flourishes frames in white line design. 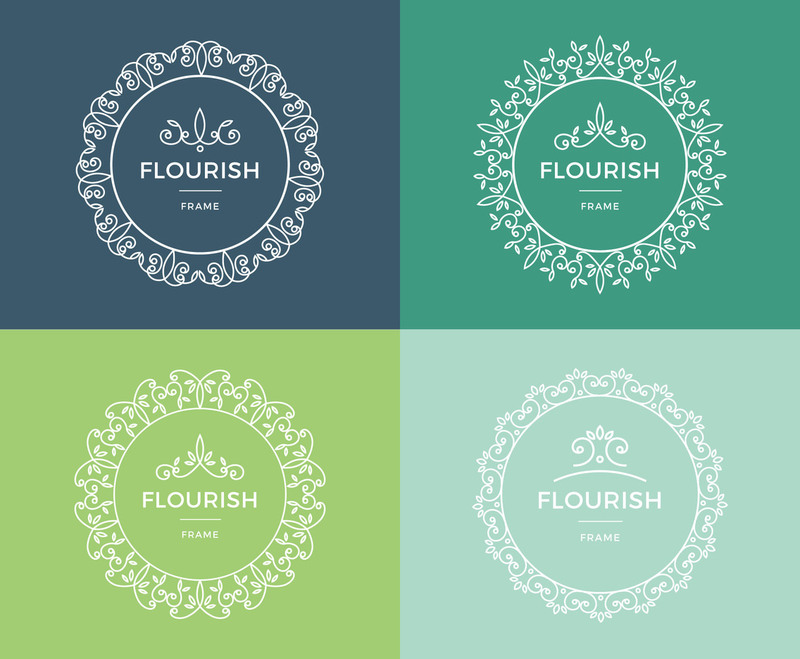 Great for use in logo design concepts such as boutique, hotel, floral shop and many more. With decorative elements and editable text.